Cardiff University was ranked as one of the world’s top 140 Universities by the QS World University Rankings 2017/18. As a member of the Russell Group, Cardiff is one of Britain's top 24 leading research universities. Its world-leading research was ranked 5th amongst UK universities in the 2014 Research Excellence Framework for quality and 2nd for impact. The University’s Portland-stone buildings are centrally located amidst parks and tree-lined avenues in the city's civic centre. Students and staff are drawn from throughout the world, attracted by its international reputation and commitment to excellence. 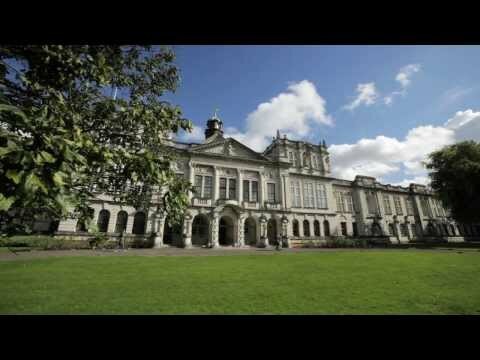 Founded in 1883, Cardiff University combines impressive modern facilities and a dynamic approach to teaching and research. Through this blend of established tradition and cutting-edge innovation, Cardiff University offers a stimulating environment for study and research. The University's expertise in research-led teaching encompasses: the humanities; the natural, physical, health, life and social sciences; engineering and technology and lifelong learning. According to the latest QS World University Rankings, Cardiff is ranked in the top 50 for Architecture/Built Environment, Communication and Media Studies, and Psychology; and ranked in the top 100 for Accounting & Finance, Geography, English Language & Literature, Medicine, Sports Related Subjects and Pharmacy & Pharmacology. Communication Technology and Entrepreneurship (MSc). Social Science Research Methods (Business and Management Studies: Banking, Finance and Accounting) (MSc/PgDip). Computational and Data Journalism (MSc). Data Science and Analytics (MSc/PgDip/PgCert). Social Science Research Methods (Psychology) (MSc/PgDip). Sustainable Energy and Environment (MSc).